Nothing like a little sibling rivalry to make for a great superhero movie. 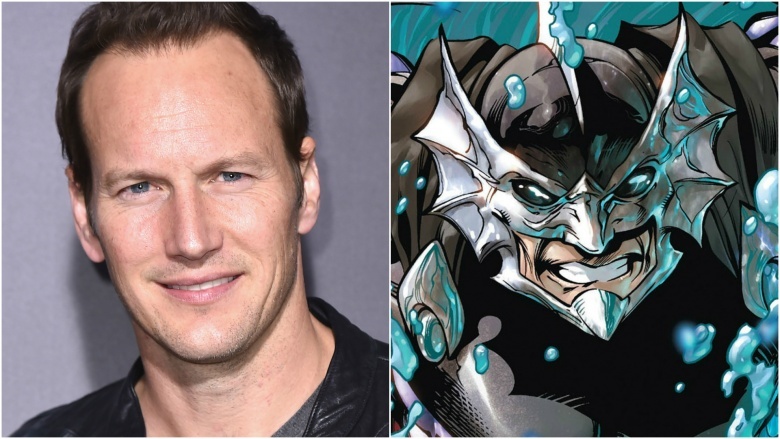 Deadline reports that Patrick Wilson will play ORM, also known as Ocean Master, in Aquaman. In the comics, ORM is the half-brother of Aquaman, and a rival for the throne of Atlantis. He tends to wreak a lot of havoc when he doesn't get his way, which is a little reminiscent of Loki and his complicated relationship with Thor. Wilson will co-star opposite Jason Momoa in the flick, directed by James Wan. Of course, Wan and Wilson go way back with Insidious and The Conjuring. A few months back, Wan described the tone of the movie to Entertainment Weekly. He said, "The spirit that I'm going for is like a classic sort of swashbuckling action adventure, sort of high seas adventure story. It's a quest story potentially in the spirit of Raiders of the Lost Ark meets Romancing the Stone." Before Aquaman arrives in 2018, we'll see Momoa as the character in Zack Snyder's ensemble Justice League. That movie will hit theaters Nov. 17, 2017. In the meantime, check out what we know about Justice League so far.